Ladies and gents, it’s time to shop! 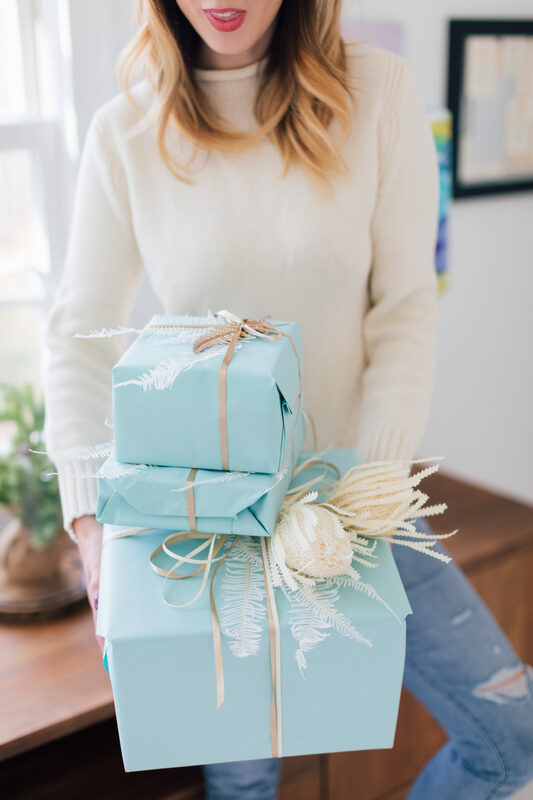 The holiday season is upon us, and one of my favorite things to do this time of year is to select thoughtful gifts for the people I care about. I consider it a matter of pride to find everyone on my list something that they’re going to absolutely LOVE. 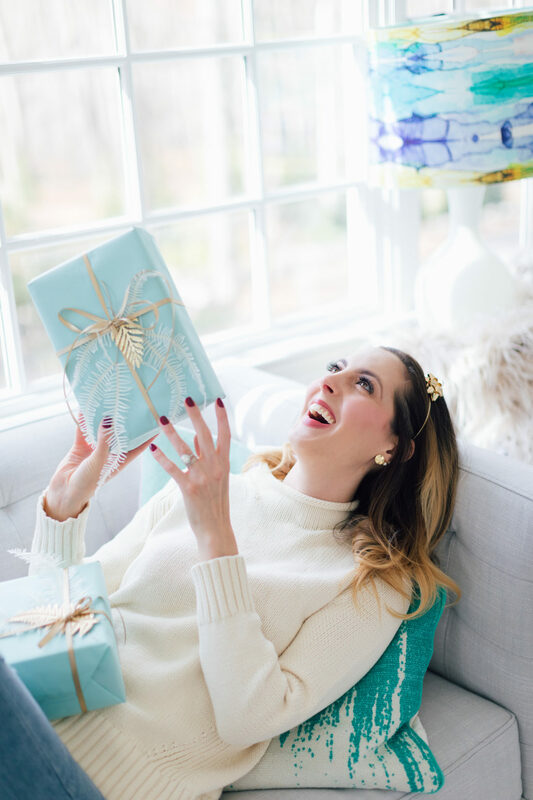 This year I’m really excited about my gift guides, because I chose categories that I am genuinely needing to shop for in my own life. 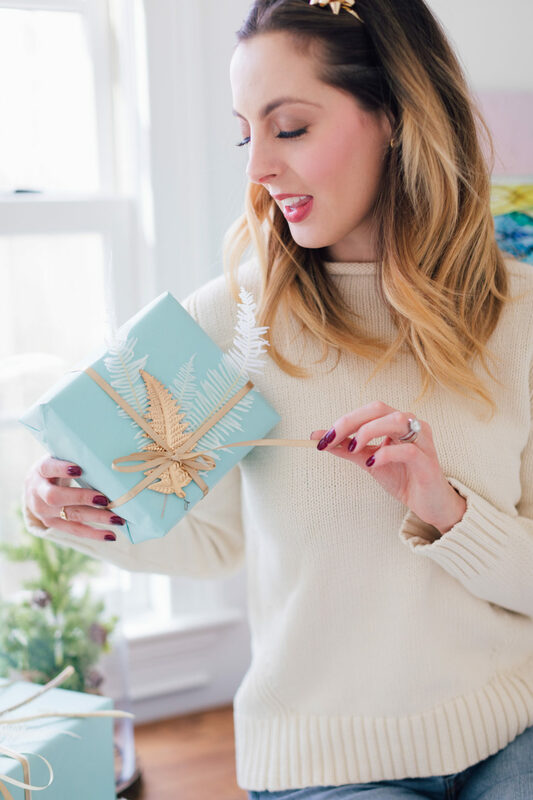 I’ve had such a fun time choosing all these gifts and I hope you love them as much as I do! I’ve included descriptions of the gifts as well so you can read while I chose them. Happy shopping! This year I decided to break my kids’ category in to two separate ones: gifts for baby and gifts for Kids. 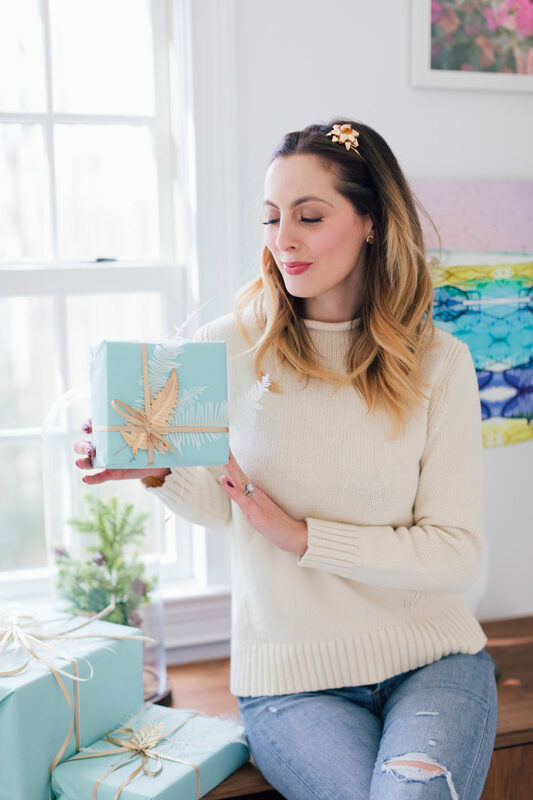 I feel like baby gifts are just so different, and can oftentimes skew towards the nostalgic– since it’s really the parents you’re buying gifts for at that point. When I get gifts for babies, I look for pieces that can get passed down, or that are stylish-looking toy pieces. This year I rounded up my absolute faves! Descriptions of the gifts are below, and click on the items in the collage above to shop! 1. This beautiful knit hoodie is festive, but can also be worn all the way through the summer. It’s unisex so it can be handed down to future sibs as well! 2. My kids loved putting things in and out of containers as babies, and this little soft fishbowl is so adorable. 3. I love Cuddle & Kid dolls because they’re so cute AND give back! 4. A crate of musical instruments is a 100% win for babies. Hours of entertainment! 5. These teethers are so chic! 6. This walker toy hits two birds with one stone– and it’s so gorgeous to look at. Perfect for the baby’s stylish parents, too. 7. These little shoes are beyond cute, and such a great color scheme to coordinate with girl or boy wardrobes. 8. I just can’t deal with this knit romper. I had to include it here! It can be layered with tights and a sweater under the romper for Winter. 9. This sloth snuggle toy is so sweet and cozy…even I want one. 10. These cute books are customized for the recipient and are such a great heirloom to pass down! 11. A sweet little chair is a great baby gift, and in my experience they’re really great tools for helping baby learn to pull up and take steps! 12. This cozy bear coverall is stylish and warm. Both of my babies had them for Winter! 1. First thing’s first: matching jammies! I love these coordinating pink and navy sets for siblings from BURU’s collab with Petite Plume…and they come in coordinating prints for parents too! 2. My kids are so obsessed with these little mice that come in cute metal tins. There are a bunch of different variations to collect! 3. Moonlite is a storybook projection system that works off of your phone! It’s so cool and a great bedtime routine to get in to! 4. I had to include this sturdy and cute easel because it’s what Marlowe requested from Santa. So yours truly has been researching a lot of easels! This is the one she’s getting! 5. These reindeer socks are so cute and really affordable. A great add-on gift or stocking stuffer. 6. This sweater!!! I loved it so much I already ordered it for Marlowe. 7. My kids are IN LOVE with this cleaning set. Major got it for his first birthday and they still play with it! 8. A sweet and festive hat for either gender! Can be paired with the reindeer socks for an adorable gift. 9. Major recently flipped for this awesome car garage. Hours of play, and a great price point. 10. Kyle has a guitar and my kids are always fascinated when he plays it. This kid sized guitar is a great way to spark musical interest. 11. This camper playhouse is so cool! Such a nice departure from the teepees that are EVERYWHERE. 12. So obsessed with this block set. The castle shaped pieces add more intrigue than the traditional block set– and it’s priced so well. 13. Major is really in to trains right now, and this set has his name written all over it! 14. I love this microscope for the junior scientist! Do you have that person on your list who loves to be #trending? Is that person you? Giiiirl I can relate. I decided to do a gift guide this year of all the items that are hot hot hot right now. Because feeling cool never goes out of style. I also highly recommend this category for self-gifting! Ha! Descriptions of the gifts are below, and click on the items in the collage above to shop! 1. These earrings are oversized and SO chic. You can dress them down in a tshirt and jeans (and bright red lip), or dress them up for a black tie event! Either way you slice it, they’re SO well priced, which makes them a must have! 2. I really can’t deal with how cool these boots are. I actually ordered them when pulled the image for this guide. LOL. 4. This decanter is so chic! Such a fab gift for a wine lover with great style. 5. Chunky sneakers are all the rage right now, but the multicolored ones are a little aggressive for my taste. These black and white ones are SO “now” but also go with everything. 6. This bag. If it were an apartment I would want to live in it. The color, the shape, the structure, the gold hardware. Ladylike, while also cool…essentially what I strive for. Hahahaha. 7. I just love ShopBURU sunglasses because they’re super chic and super inexpensive. These are such a standout style! 8. If you haven’t heard about my SKII Facial Treatment Essence obsession then WHY HAVE YOU BEEN SLEEPING. Basically it’s the best, and worth its weight in gold. This should be any skincare addict’s number one on their wishlist! 9. I have a soft spot in my heart for Tory Burch watches. I just love all of the timepieces she comes out with, and I think they are perfectly priced for how luxury they are. This one is so classic, but also has a modern twist. 10. I love this gorgeous necklace! It would be the perfect addition to anyone’s neck candy. 11. I can’t get enough of beautiful statement earrings, and these are just FAB. Offbeat and glam all at the same time. 12. My go-to lazy day hairstyle is a middle part, tight low bun, and a fabulous headband. This one is so gorgeous and can take you from day to night. Guys are notoriously difficult to shop for, but I’m actually really proud of this gift guide! All of the items on this list are things Kyle would LOVE to receive, and he actually may or may not be receiving a few of them as gifts this year. LOL. Nobody spill the beans! Descriptions of the gifts are below, and click on the items in the collage above to shop! 1. Warm and functional gloves are a must for the season, and these ones are so masc and perfect for any guy. 2. These are the most luxe EarPods everrrrr. Essential for the music lover, or the guy who is always on his phone! 3. A watch is such a chic holiday gift This Ted Baker timepiece is a great price point– and so stylish! 4. A Yeti Cooler is a failproof gift. I love this soft sided one because it’s so versatile. 5. Does the man in your life love to grill? Get him the Mac Daddy of grills! I love the festive color of this one, too. 6. I just love this tie. It’s so chic, but still really understated and can be dressed up or down. It would even look so festive with a tartan print shirt and a velvet blazer. 7. This toolbox is a functional and totally studly gift. Plus it gives a subtle hint that you will only benefit from. LOL. 8. I recently received one of this Yeti mugs as a gift and I’m OBSESSED. Kyle and I bought three more. Such a great smaller gift or add-on gift! 9. You can’t go wrong with a beautiful and cozy sweater, and this one is my fave I’ve found. It would suit so many different styles. 10. Santal 33 is my fave fragrance on a guy, but it’s technically unisex. Kyle wears this fragrance and I love gifting him a new bottle for special occasions. 11. These shades are such a classic and timeless style– I love them! Plus, they’re only $25! 12. Slippers are a really sweet gift for men at any age, and I Love this super classic pair. 13. Gift a new pair of sneakers to the sporty guy in your life! These are perfect for working out, but they’re also good for those in between times as well, and can make an athliesure look totally stylish. You know exactly who I’m talking about. Some people are just so hard to shop for! But there are always out-of-the-box ideas for those people on our lists! For me, it’s parents, in-laws, friends who gift themselves all the things they want all year long…LOL. But I promise you they will love this list. Descriptions of the gifts are below, and click on the items in the collage above to shop! 1. This flask is so retro and cool– and who doesn’t need an extra flask hanging around? Especially when you’re, for example, at Disney On Ice and you’re definitely not drinking a Jack and Ginger. Just a regular Ginger Ale…. 2. I just love this super cute sparkly basket bag. It’s such a fun conversation piece for a night out, or even for bringing along to the farmers market. 3. Wake Me For Champagne. Need I say more? 4. This honey pot is so adorable! Pair it with a jar of local honey for the perfect gift. 5. Birdies slippers are such a chic gift, and they double as a really easy set of mules to dash out of the house in. I think they’re a must, and I love this festive red pair. 6. This green lipstick is the most unexpected surprise. It actually goes on super sheer and adapts to the pink of your lips for a really light rose tone. Almost like a mood lipstick! I always keep one in my purse, and it’s the perfect lipstick for the beauty junkie who has tried it all. 7. The Wine Wand is the new hot ticket item, and it really works! You just swish it around in your wine and it takes out the toxins and harsh tannins for an easier post-party vibe. This would be the best add-on gift to a fun bottle of red wine! 8. I just love this insanely chic ice bucket. 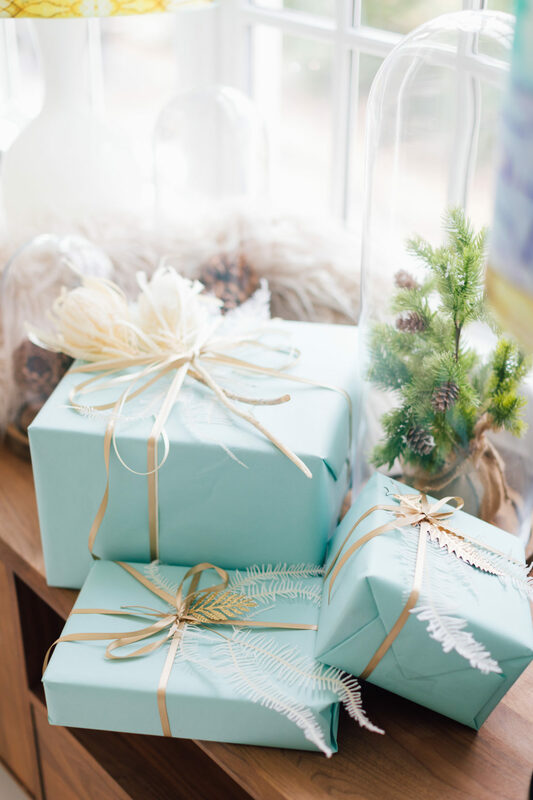 You can’t go wrong with this gift! 9. Does your gift recipient already have a Molcajete? Yeah I didn’t think so. LOL. Help them mix up fresh guacamole or even grind up spices in this awesome contraption. 11. This “Weather Station” is such a cute idea, and a really fun gift to pair with a cozy scarf. The Holidays are chock-full of entertaining and traveling, and there is always a hostess on one side of that equation. 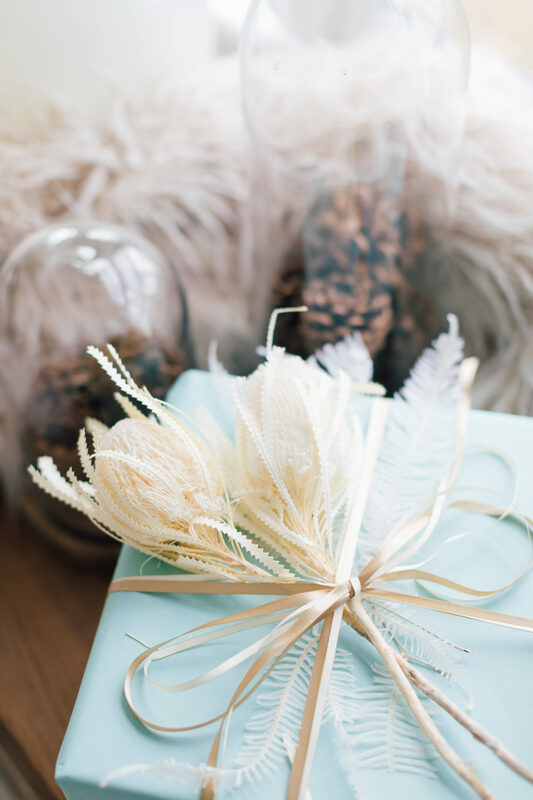 Make sure you’re prepared to give thanks with a sweet and thoughtful gift. I also listed some items for the people, like me, who have a passion for hosting and housewares. Descriptions of the gifts are below, and click on the items in the collage above to shop! 1. I registered for two of these Michael Aram frames for my wedding, and I still absolutely adore them. I keep them side by side, and keep a picture of the kids in one and a picture of Kyle and I on our wedding day in the other. They are SO beautiful and go with any decor. 2. How cuuuute are these Prosecco teacups. Beyond! This would be a great present for a boss or coworker as well! 3. These tea kettles are as chic as it gets, and I love this retro blue color. 4. A hand stitched evil eye ornament is a great addition to a Christmas tree, or even as a doorknob decoration. Ward off those bad vibes! 6. This spatula set is such a sweet gift to bring to a party hostess around the holidays! Inexpensive but special. 7. These rose gold champagne glasses are such a chic addition to anyone’s bar. 8. Ditto this bar set! 9. This beautiful key bottle opener would be the ideal add-on gift to bring a hostess alongside your six pack of craft beer. 11. Gingerbread Cookies: the iconic holiday smell! This candle is so yummy and is a really sweet gift. 12. This gorge, colorful felt wreath is the perfect festive gift! 13. I love this vase! You can bring it to present to your hostess with a few fresh flowers inside. Instant decor! 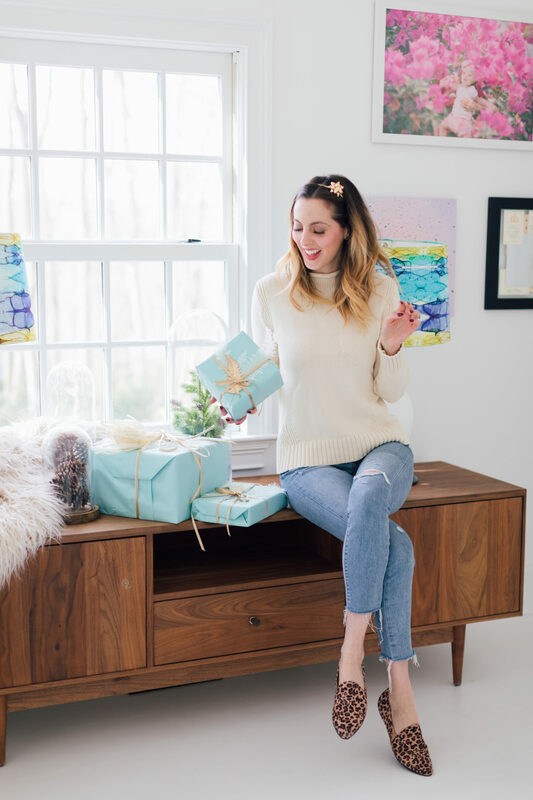 While I was gift hunting I found so many beautiful boho-style items that I knew I had to create a gift guide just for those boho babes among you! Descriptions of the gifts are below, and click on the items in the collage above to shop! 2. This cozy throw is perfect for the coziest season of the year! 3. You can’t go wrong with a chic felt fedora– and this one is so versatile. 5. I love this pretty, handmade dreamcatcher. I recently got one for Marlowe’s room and she loves it too. 6. This horse ring!!! So cool and perfect for the horse-lover or free spirit. 7. A cozy Ugg boot: Boho to the max, and so festive! 8. The faux fur color on this denim jacket makes it so fashion forward– and great for holiday. 9. This face oil is supposed to be a powerhouse. I had to order some for my skin-obsessed (and natural product-loving) bestie! 10. I love this turquoise initial necklace for layering. 11. This Herbivore Coco Rose gift set is one of my favorite gifts to give. It’s SO nice smelling and really works– plus it’s all natural so it’s even perfect for expectant mamas! 12. This highlighting powder is the BEST, and it’s the perfect finishing touch for an natural, glowy makeup look. 13. These tassel earrings are the loveliest accessory to an easy, breezy boho look. 14. These over the knee boots are really beautiful, and go so well with flowy dresses, or belted boho minis. 15. This necklace is a showstopper, and a total wear-every-day piece. 1. Pajamas are a no-brainer for a bestie gift! I love helping my BFFs stay cozy! 2. This eyeshadow palette is so beautiful, and I feel like good friends never buy new makeup lewks for themselves. This is such a great gift! 3. The minute I saw this candle, I fell in love. It’s so gorge and in a great price point! 4. I mentioned before that I’ve been loving Yeti products, and this coffee tumbler is cute AND functional. 5. I love these in-flight craft cocktail kits. It’s such a great gift for the frequent flyer! 6. Cozy gloves are always a thoughtful winter gift, and I LOVE this lavender color! I bought them myself! 7. Summer Fridays is a really nourishing and gentle mask, and it’s the best gift for the skincare junkie bestie! 8. These blush shades were MADE for your bestie. So glam! 9. A cute, printed eye mask is a super stylish gift, without breaking the bank! 10. This passport cover is what I would LOVE to receive from a bestie. It’s so cute, and really functional! 11. I think these half moon earrings are the most chic and understated gift. I just LOVE them. 12. The scent of this gingerbread candle is intoxicating, and it’s great as a single gift or even as an add-on gift. I had to have the Big Ballin category this year! Every year at holiday time I fantasize about what would be on my wishlist if budget were no option. If you’ve been a REALLY good girl this year, or if your budget is more flexible– this list is IT! I covet every single thing on it. Descriptions of the gifts are below, and click on the items in the collage above to shop! 2. Leopard print is all the rage this season, and this pair of leopard Louboutin booties is FRESH. 3. Just too obsessed with this diamond ring. It’s the perfect right hand ring! 4. These. Boots. Are. Just. I can’t. I want them, I need them, I love them. 5. You can’t go wrong with a gold Rolex. Ever. 6. Every year I like to choose one luxury handbag I’d love as a gift, if my husband were aware of handbags. LOL. And this year, this Chloé bag wins! 7. I’ve fallen for this gorgeous printed dress. If I were seriously Big Ballin’ I would gift it to myself! 8. These Margiela shades are at once delicate and Baller. And that is a hard balance to strike, if I do say so myself. 9. This Gucci Utility winter coat is the epitome of chic. And I love the navy color! 10. I tend to wear earrings day in and day out until I switch out my whole lineup every four months or so. These earrings are simple yet so elegant and fabulous. They are a must to anyone who can afford them! 11. This perfume is intoxicating. Period. 12. If you’re needing an extremely warm and stylish winter coat that can handle the elements year after year, this one is your perfect match. I love your guides! Will you have ones for kids too? I need new ideas for my two year old son who has enough trucks and dinosaurs! I love all these great ideas, and the different price points! So, so cute!